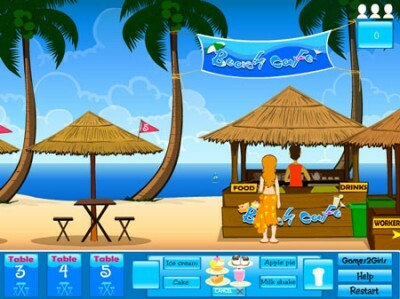 You work at a beach café. Serve the customers as fast as possible in order to keep your job. Keep you customers happy and complete the orders accurately. You can get the money only after you clean the table.